Unlock Sony Ericsson Xperia ZL C6502 - Safe IMEI Unlocking Codes for You! Unlock Sony Xperia ZL C6502 Handset! In case your Xperia ZL C6502 doesn't ask for the code and there is no designated field to enter it, please DON'T PLACE ANY ORDER, contact us first for support. Looking to get your Xperia ZL C6502 unlocked? SafeUnlockCode can help you! We offer an unlocking service that is safe and secure, and costs a whole lot less than what mobile network operators will charge you. On top of that, our unlock codes are 100% guaranteed to work, and we’ve made it super easy to do! If you want to look for a different phone to unlock instead, feel free to check out our directory here. Once you get your Xperia ZL free from its chains, you will be able to use it with hundreds of different networks, including O2, Vodafone, Three, Telus, Bell, T-mobile, AT&T and many more. All you need to do is follow these easy steps and you’ll be closer to unlocking every step of the way. Find the IMEI - to do this, just dial *#06#. Country - this is pretty straightforward. Just tell us the country you bought your Xperia ZL C6502 in. Network - also let us know what network your phone is locked to. NOTE: We cannot refund you if you enter this in incorrectly! PLEASE make sure to enter it correctly! 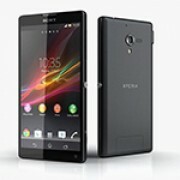 - First, enter the SIM card, and then power up the Xperia ZL. Once it is on, simply dial *#*#7378423#*#* on the emergency calls screen OR press Menu Back Back Menu Back Menu Menu Back. - After doing this, a service message should open. The number alongside network represents how many unlock attempts you have left on your Xperia ZL. If it is 0, we will not be able to get you unlocked! DO NOT place an order with us if that is the case. How to Unlock Sony Xperia ZL C6502 Phone - Tutorial! Now all you need to do is follow these steps and your Xperia ZL C6502 will be unlocked! Firstly, send us your IMEI (first 15 digits) your country, and your network, as well as an email address so we can send you an email with your unlock code later. Next, proceed to pricing and availability, and then choose one of the payment options to make a payment. Once you’ve done all this, wait for your order to process. After it has, you’ll receive an email with the unlock code. From this point, enter a new SIM card into your Xperia ZL, turn it on, and then wait for it to ask for an unlock code. Once it does, enter it in, and your Xperia ZL will unlock! Xperia ZL not showing the unlock entry field? Contact us for help. Please help me unlock my phone from Miniphone Argentina! can you provide code for Xperia ZL from Argentina Inifon? can you unlock my Xperia ZL C6502 handset from Sweden Vodafone?